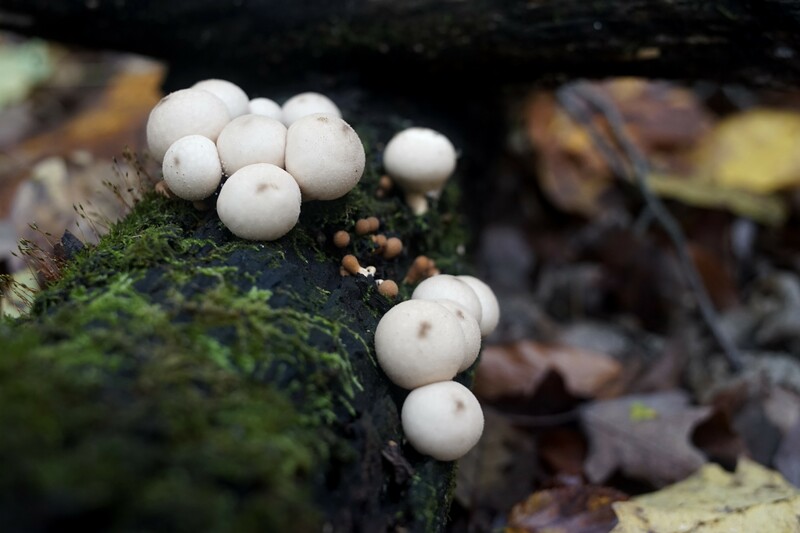 Recently, after several weeks of very dry weather, the rain came. One day it amounted to almost three inches. Once clear and lazy, area rivers are now swollen and turbid and flow with more purpose as though their water has somewhere to go. 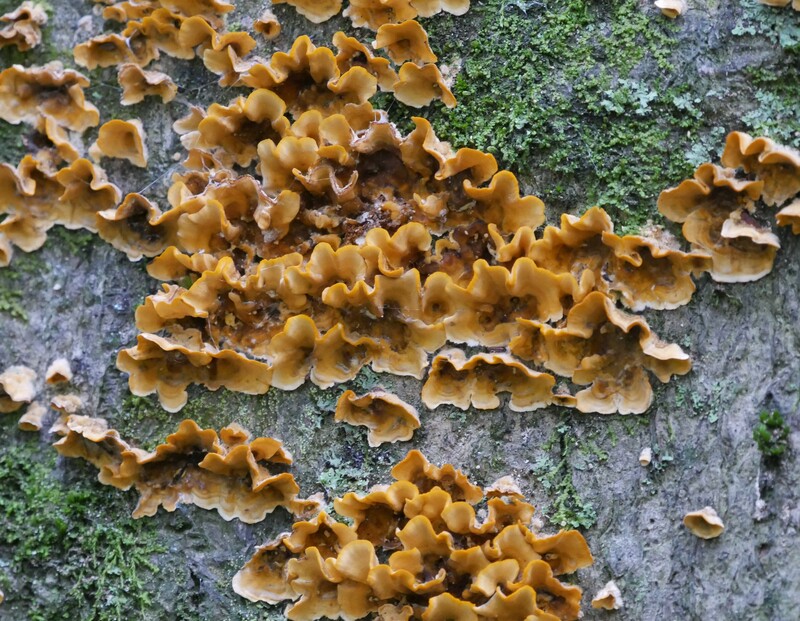 The precipitation came too late to have a major effect on the season’s color but the orange, yellow, and brown of oaks and hickories is now more saturated. The moist earth returns it’s recent gift to the humid early morning air, as suspended leaves, some no longer green, appear to almost come back to life. 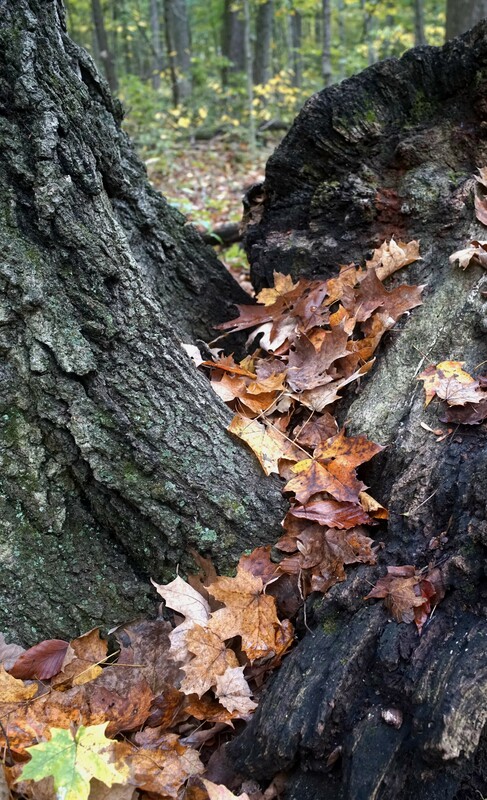 The crotch of a tree provides a resting place, Emily Traphagen Park. 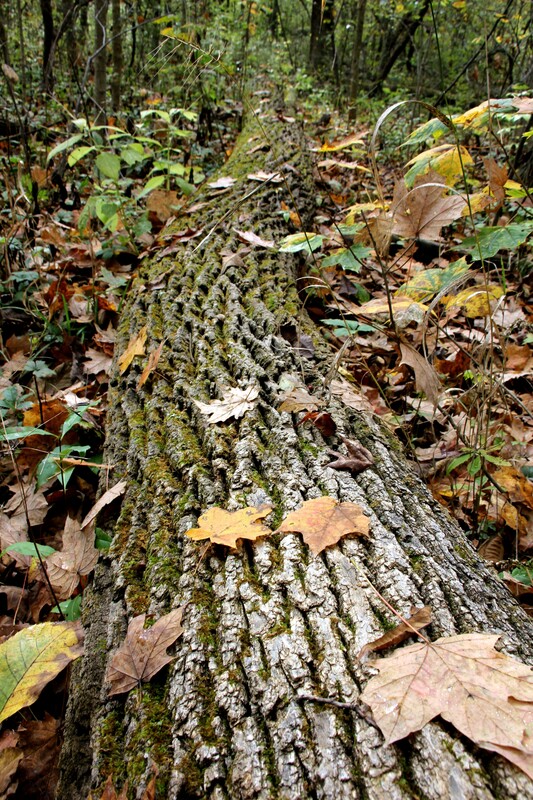 Fallen tree, Battelle Darby Creek Metro Park. Two days ago during a walk in an area park a bench provided a place to eat lunch. 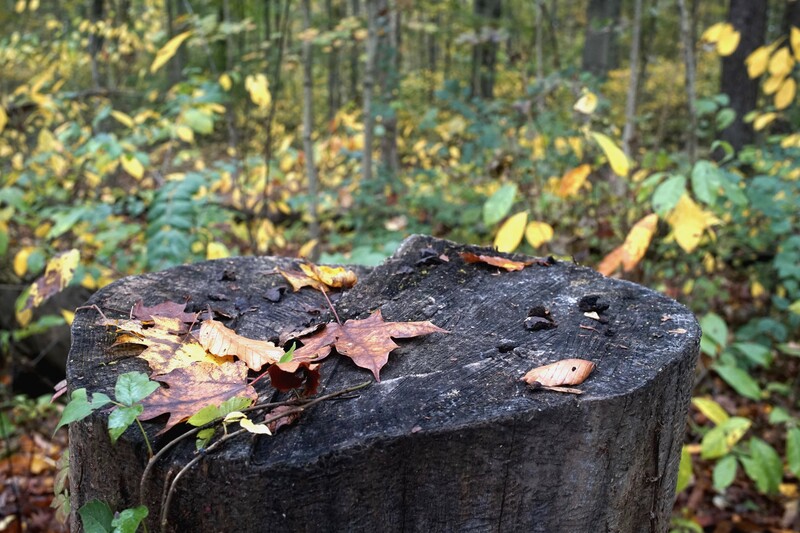 In the stillness we watched an occasional leaf from some unknown high branch in a nearby tree, like a large early winter snowflake, silently float down and land quietly at our feet. A few descended without a flourish, but most either spiraled, spun, or sashayed side to side on the last and only journey of their lives. They joined those already fallen to complete the cycle of life. One here, another there, slowly, as we sat watching, they never stopped. Today, as I write this, with wind howling past a partially open window, the scene would be much different. 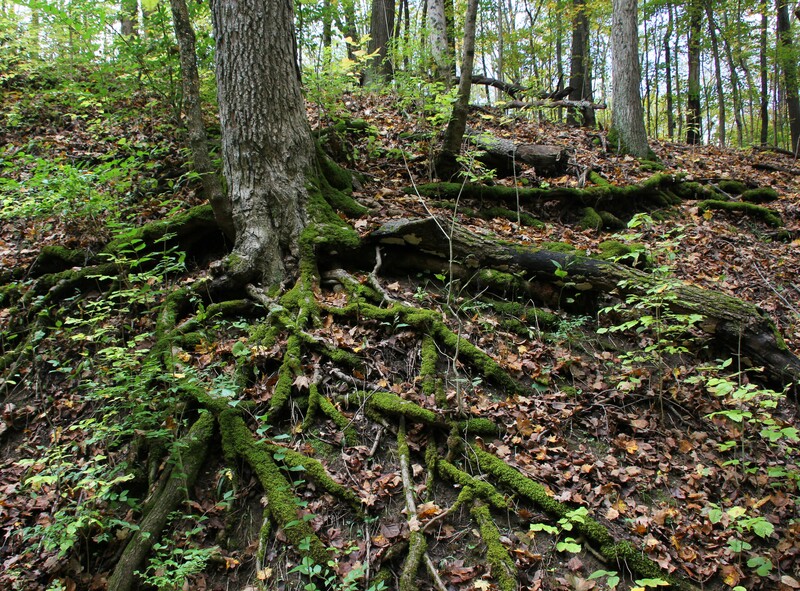 Moss covered roots grace a hillside, Battelle Darby creek Metro Park. 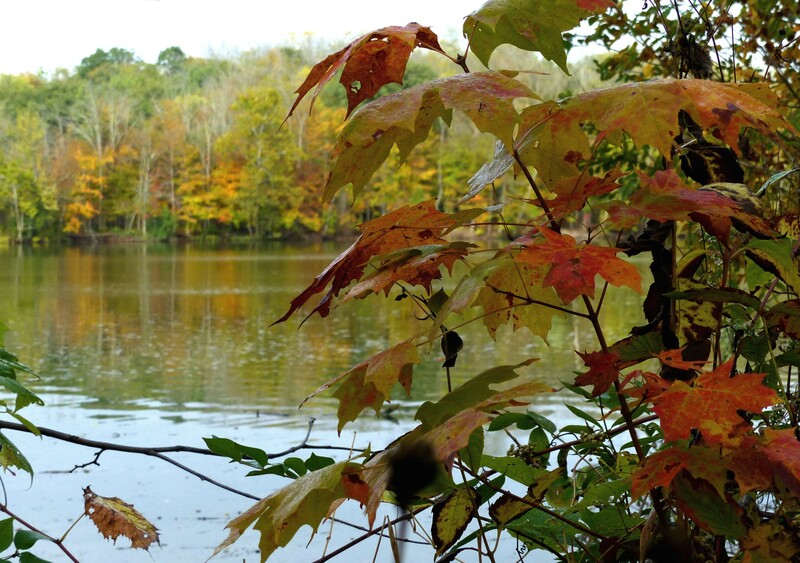 Fall color, Griggs Reservoir Park. 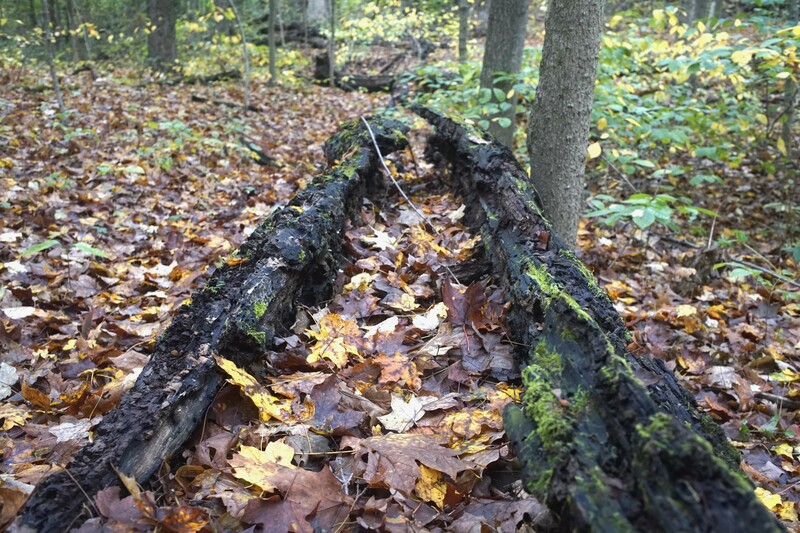 Rotting log, Emily Traphagen Park. 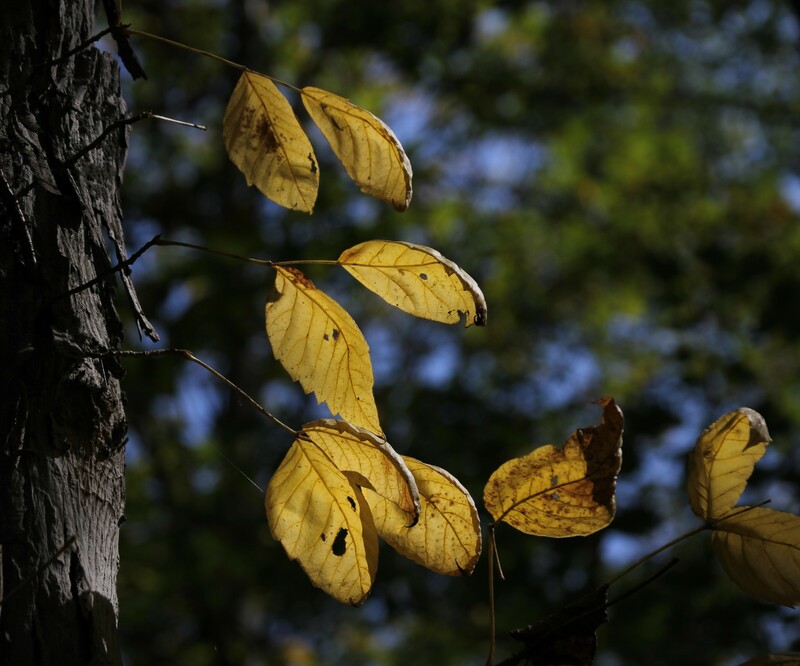 Leaves of the Shagbark Hickory, Battelle Darby Creek Metro Park. 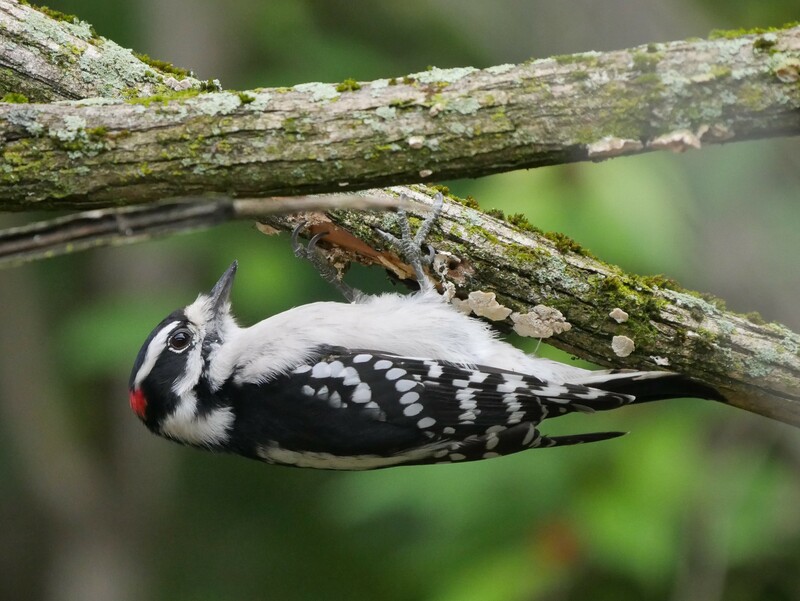 It’s hard not to think of them as friends, the group of birds; robins, nuthatches, blue jays, etc., that are such an important part of our walks in nature near home. 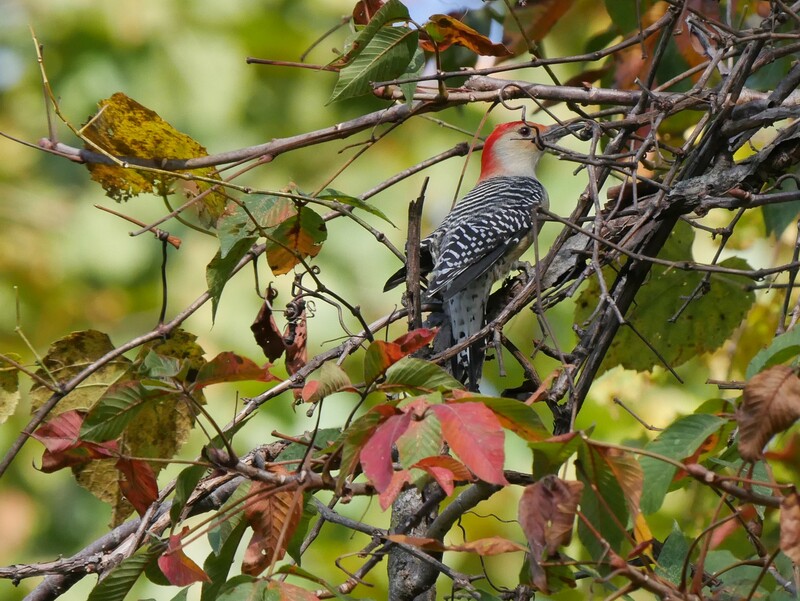 Red-bellied Woodpecker, Griggs Reservoir Park, (Donna). 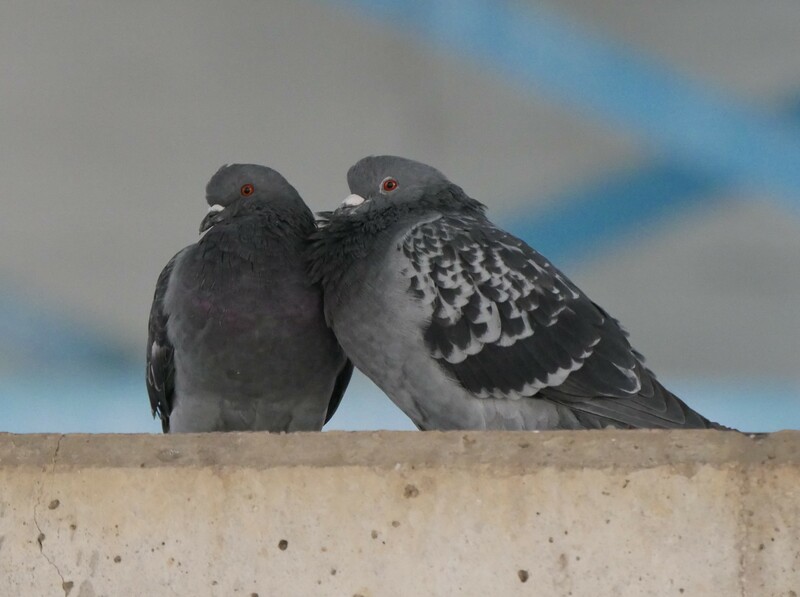 Pigeons, Griggs Reservoir Park, (Donna). 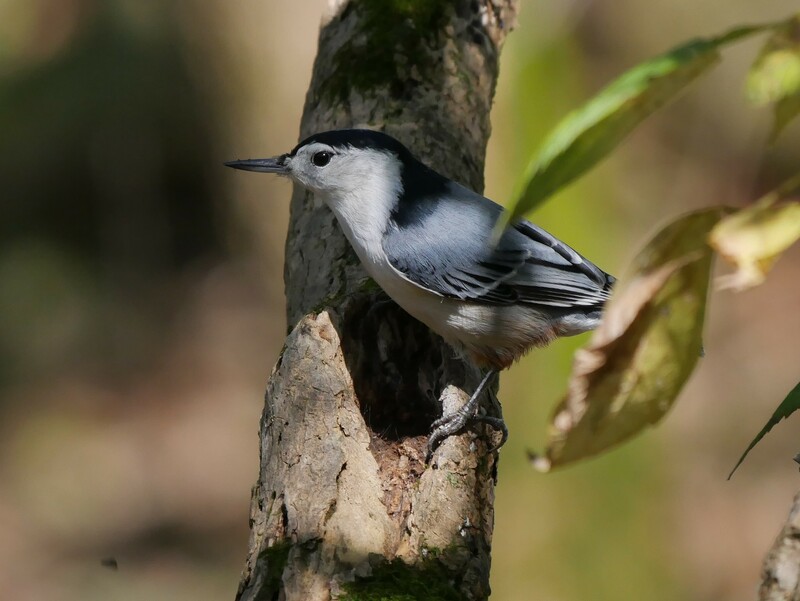 White-breasted Nuthatch, Griggs Reservoir Park, (Donna). 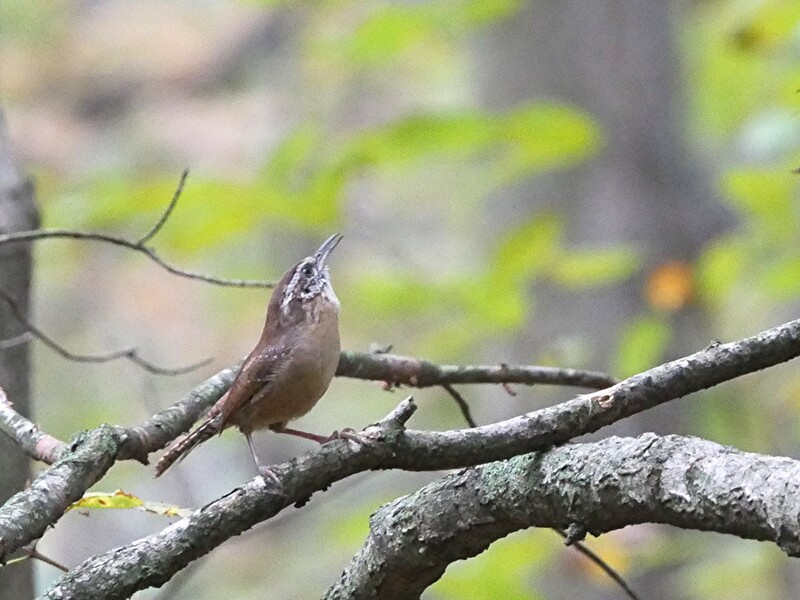 Carolina Wren, Emily Traphagen Park, (Donna). 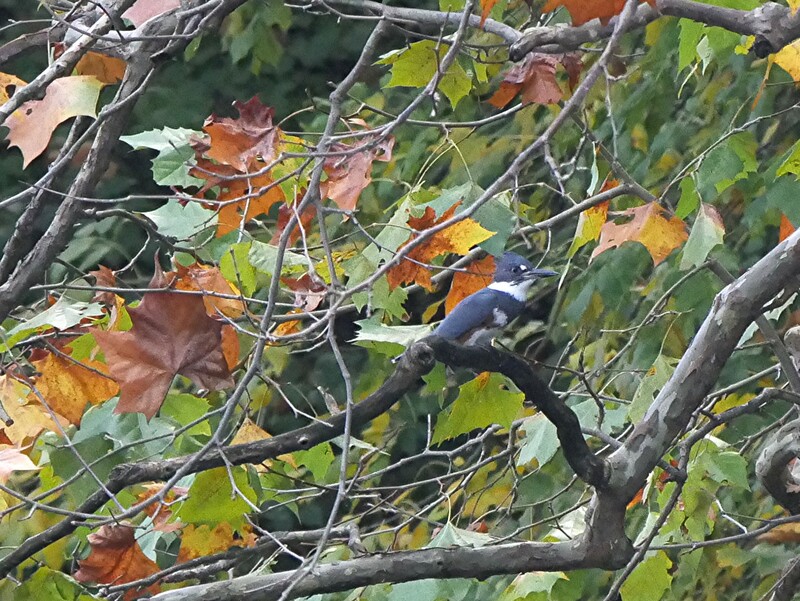 Belted Kingfisher, Griggs Reservoir Park, (Donna). 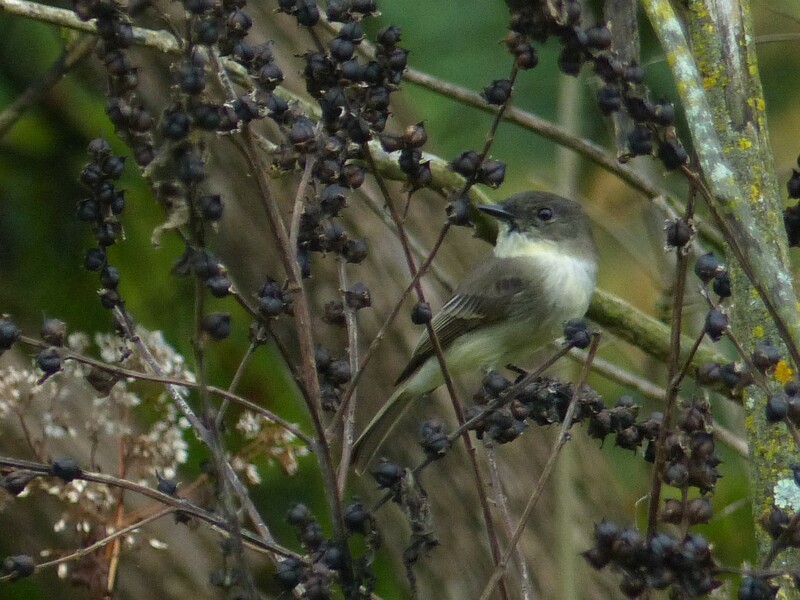 Eastern Phoebe, Griggs Reservoir Park, (Donna). 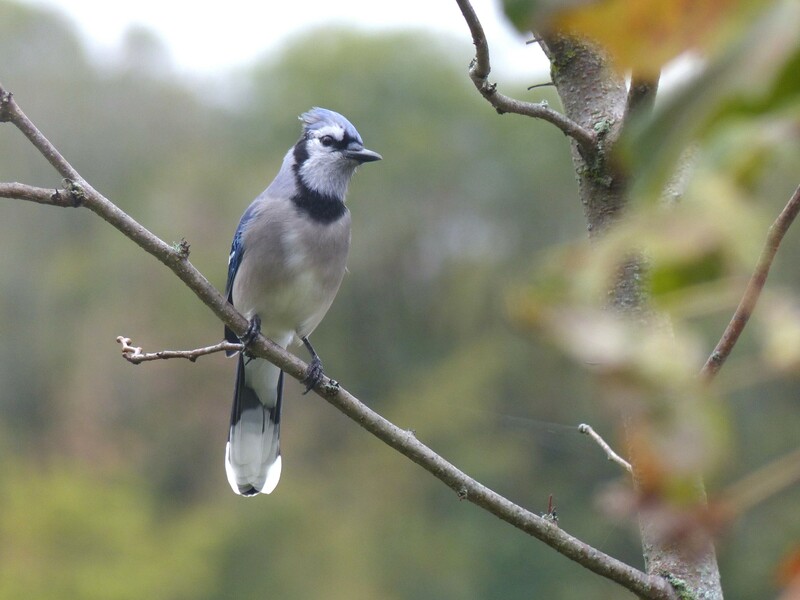 Blue Jay, Griggs Reservoir Park, (Donna). 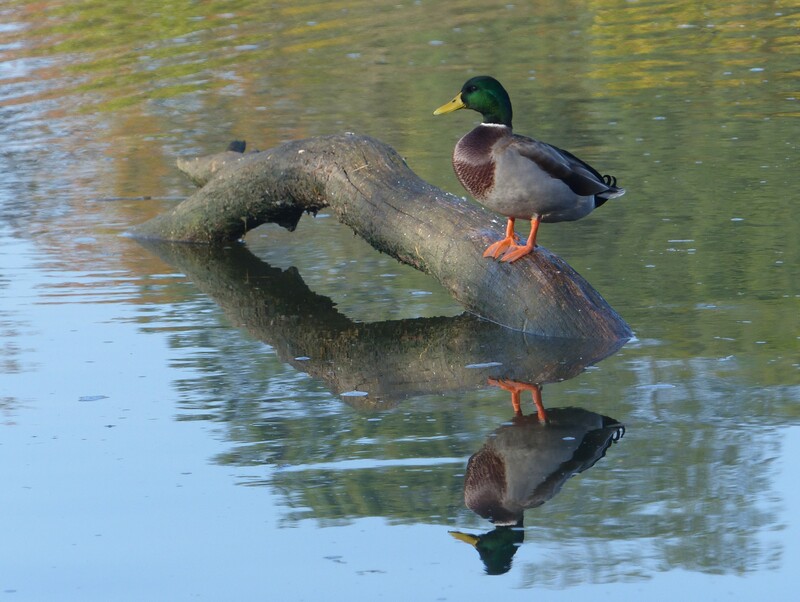 Mallard reflection, Griggs Reservoir Park, (Donna). 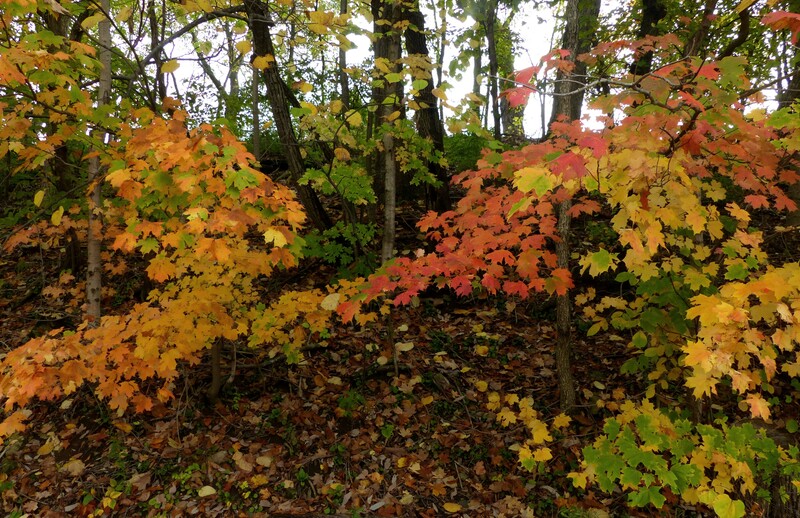 Autumn color, Kiwanis Riverway Park. Others birds, such as the Bald Eagle, are only seen on occasion but that occasion is a miracle. When I was young, in the days of DDT, a trip to Alaska may have been necessary to see one. Now they can be seen just a mile and a half from our house. 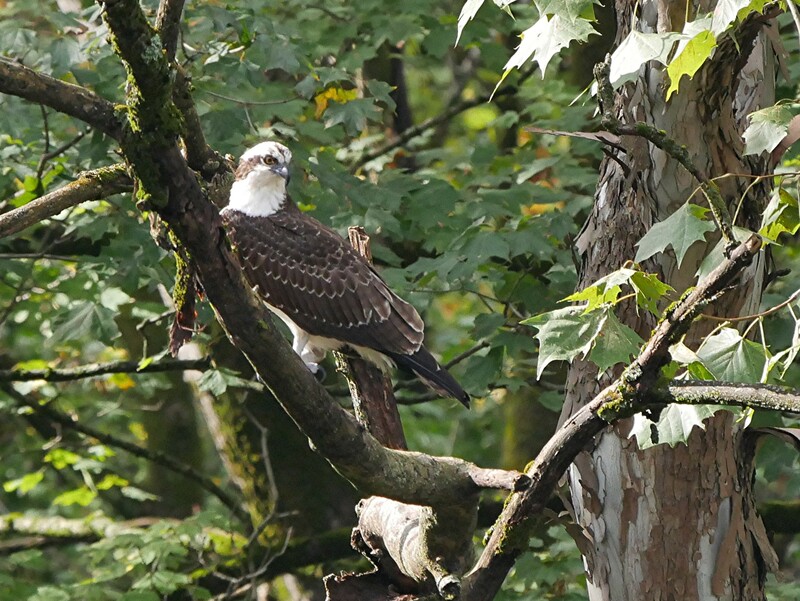 Ospreys are seen more frequently, but soon they will embark on their journey south following the already departed community of Black-crowned Night Herons that through early fall call Griggs Reservoir home. With each osprey sighting we wonder if it will be the last until next year. 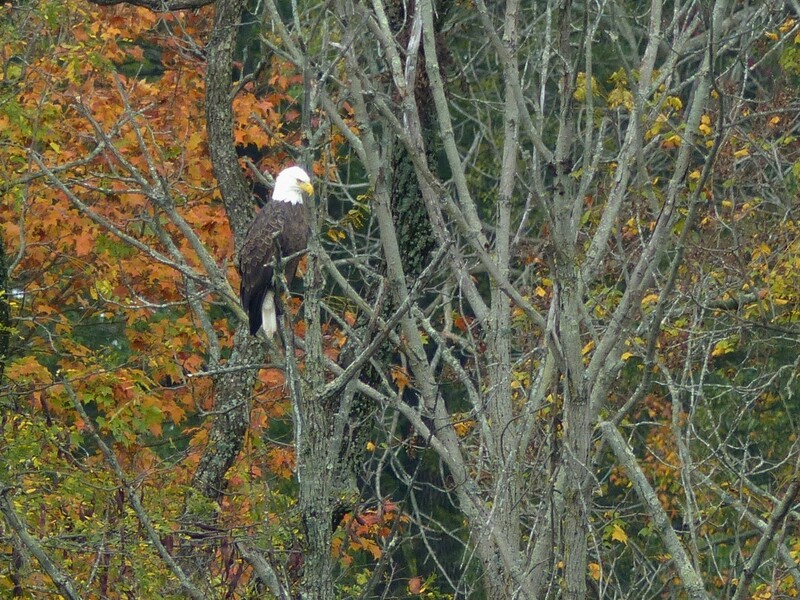 A Bald Eagle is framed by fall color on the west side of Griggs Reservoir. Osprey along the Scioto River, Griggs Reservoir Park, (Donna). 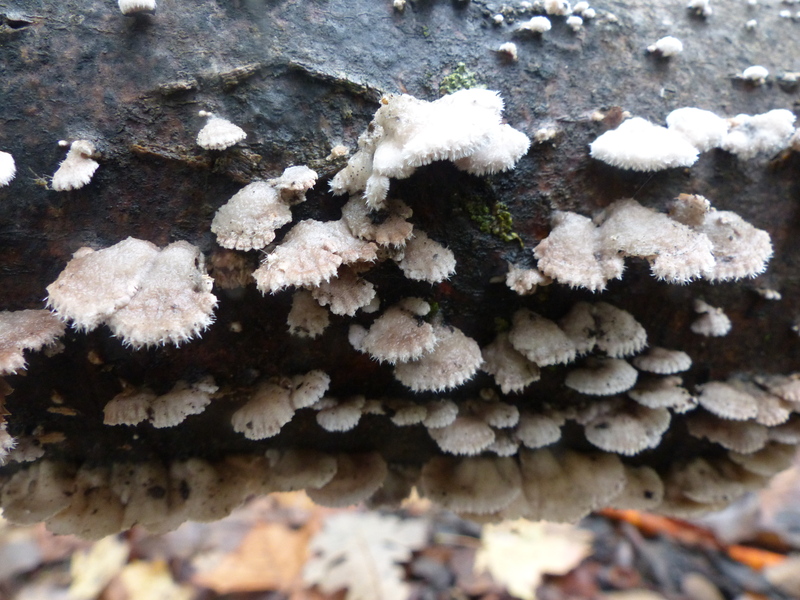 The true magic of the rain, after such a long period of dry weather, is the fungi. Many just seem to appear out of nowhere while others, having endured the dryness, regain their color. Identifying what is seen can be a challenge. 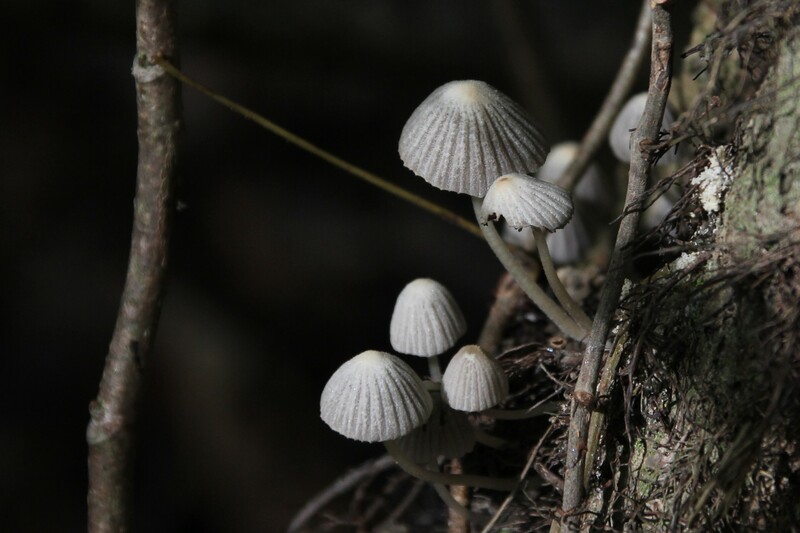 Non-inky Coprinus, Battelle Darby Creek Metro Park. 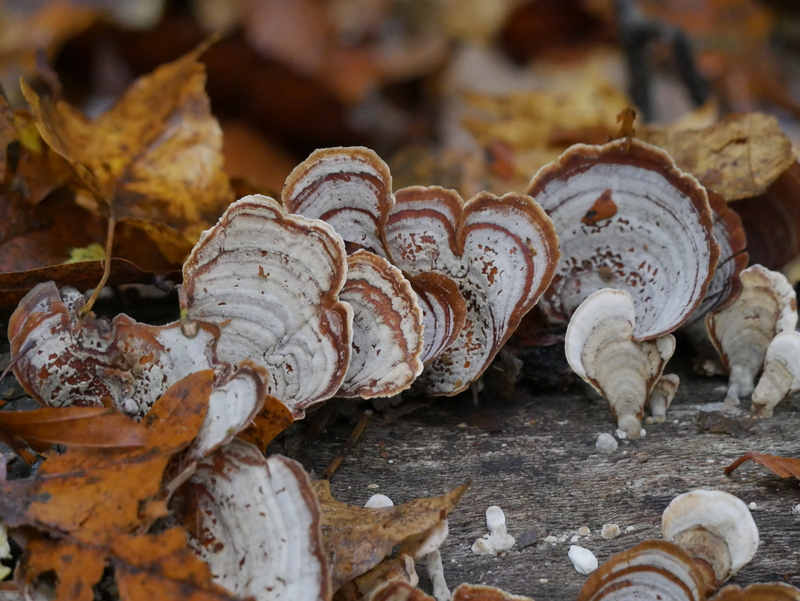 Turkey Tail, Griggs Reservoir Park, (Donna). 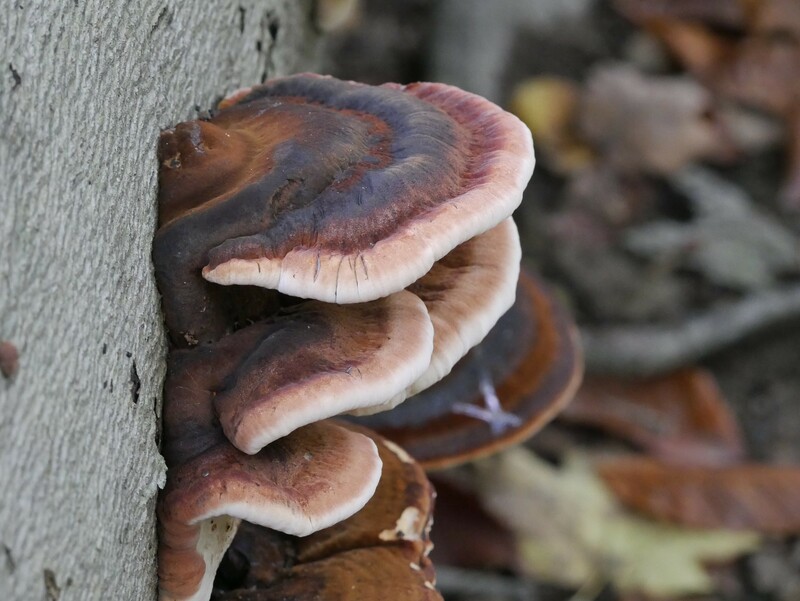 Some type of polypore, Battelle Darby Creek Metro Park, (Donna). Artist’s Bracket, Emily Traphagen Park, (Donna). 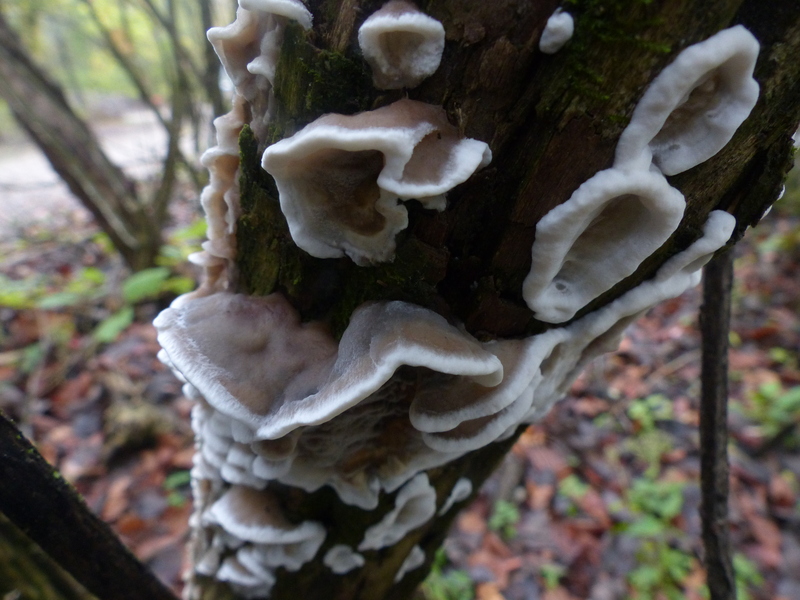 Crust fungi, Battelle Darby Creek Metro Park,, (Donna). 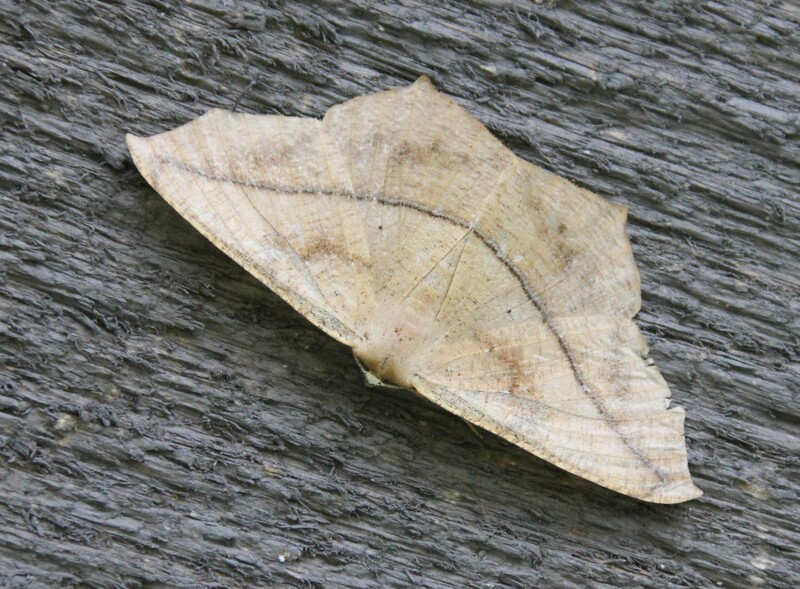 Common Spilt Gill, Griggs Reservoir Park, (Donna). 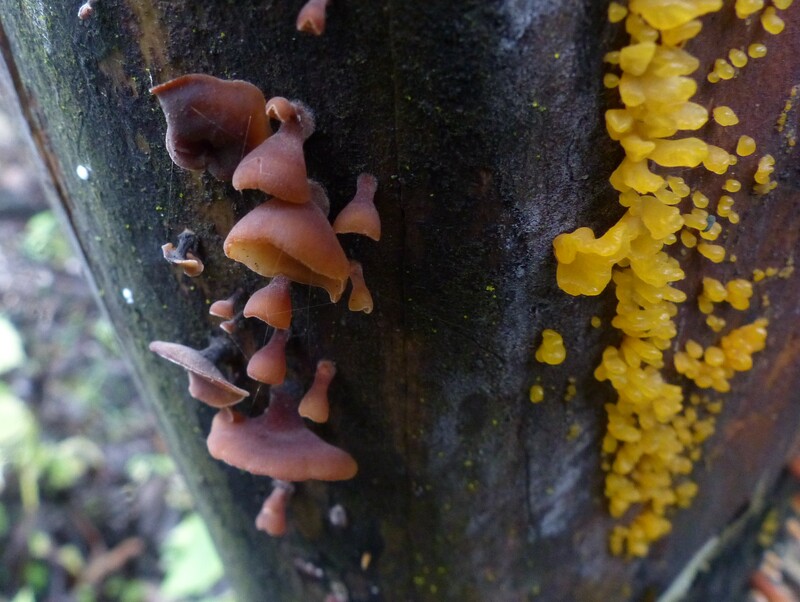 A jelly fungus on the left and Witches’ Butter, Griggs reservoir Park, (Donna). 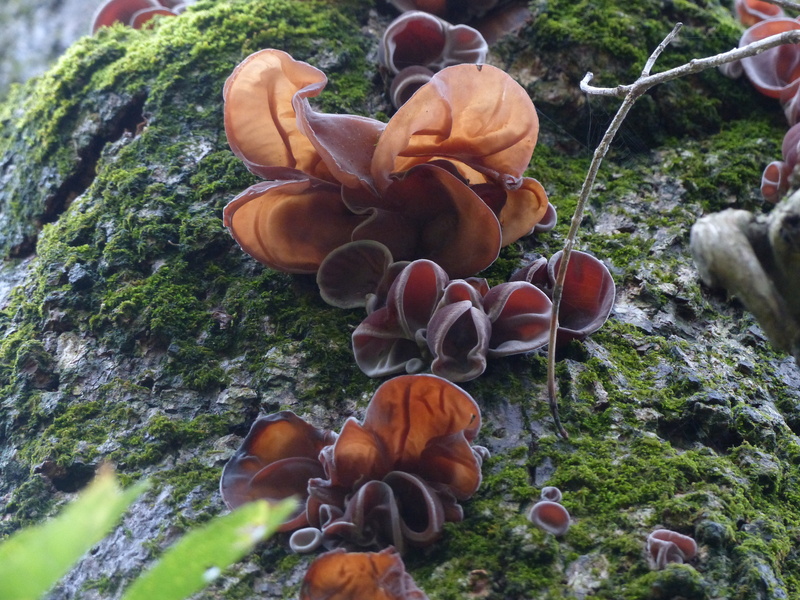 Wood Ear, Griggs Reservoir Park, (Donna). 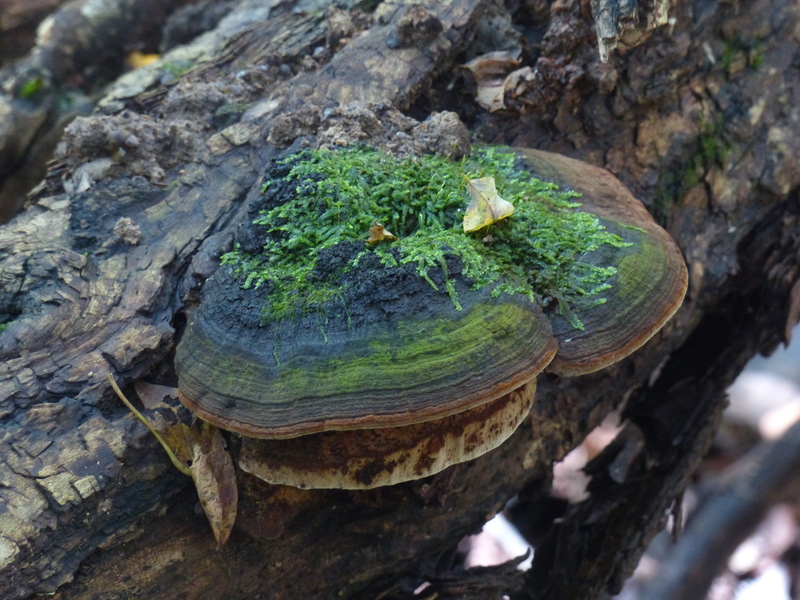 An emergent polypore, Griggs reservoir Park, (Donna). Angel’s Wings, Griggs Reservoir Park, (Donna). 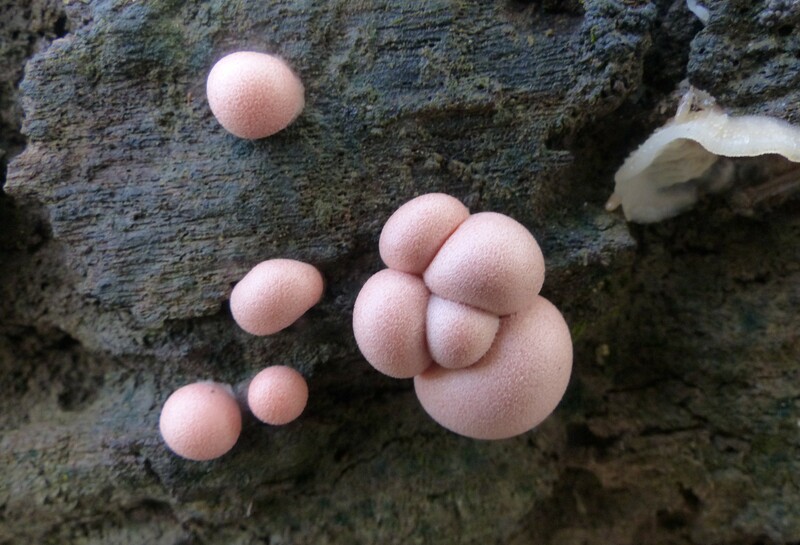 Wolf’s Milk Slime, Griggs Reservoir Park, (Donna). 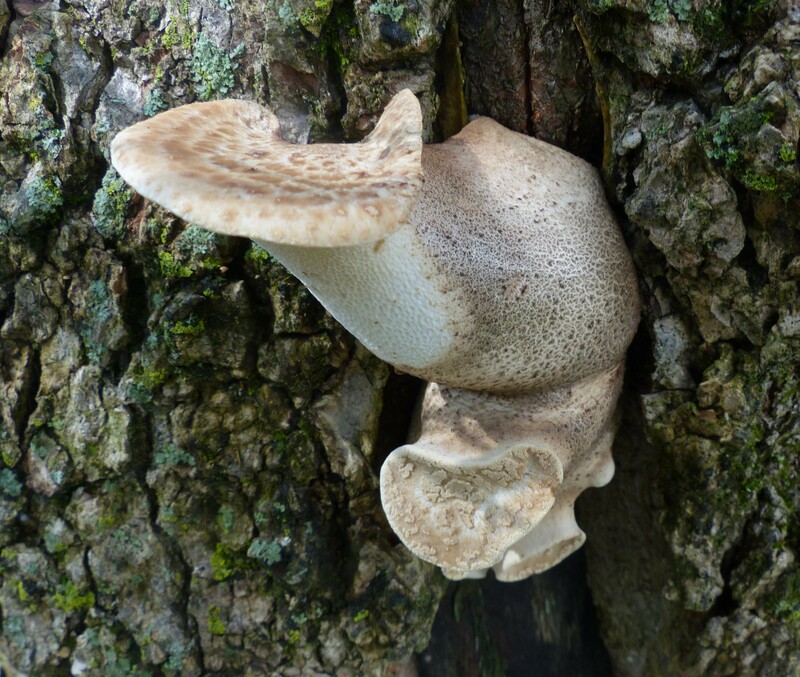 Emerging Dryad’s Saddle, Griggs Reservoir Park, (Donna). 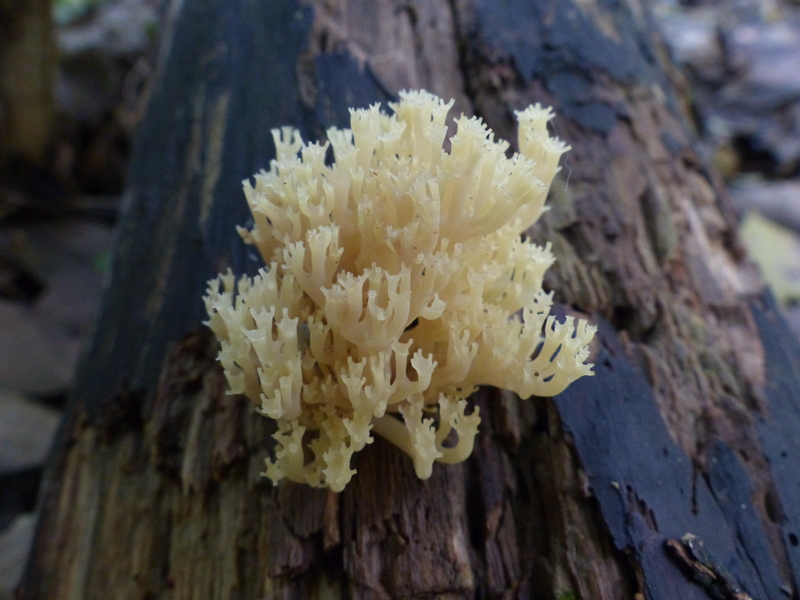 A very rare sight near our home, Crown-tipped Coral, Griggs Reservoir Park, (Donna). 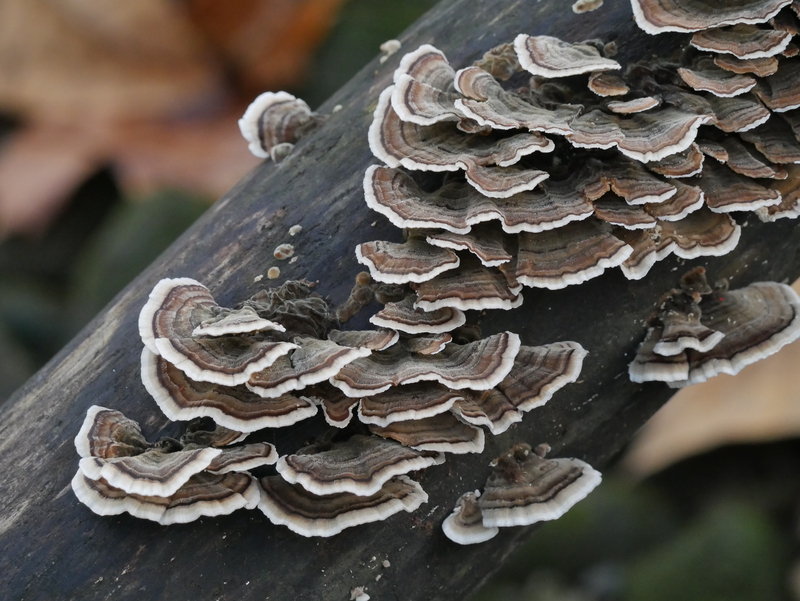 Moss on what appears to be False Turkey-tail causes one to wonder just how long it’s been there. 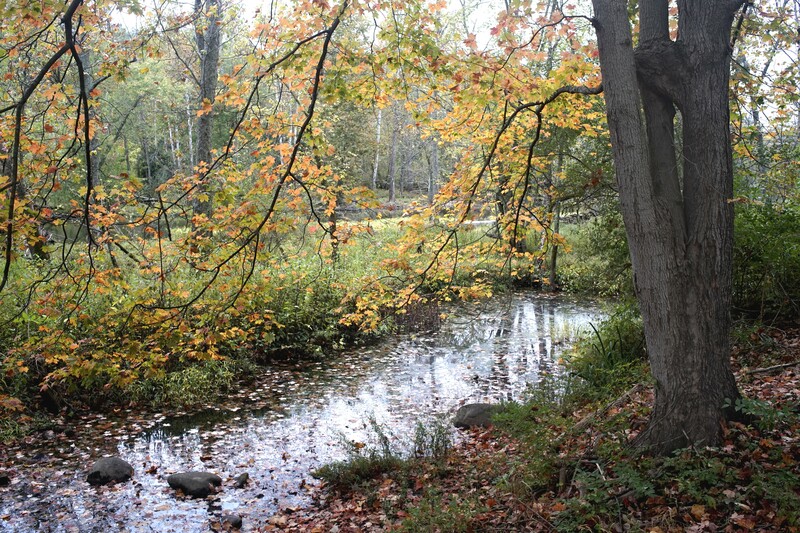 Emily Traphagen Park, (Donna). 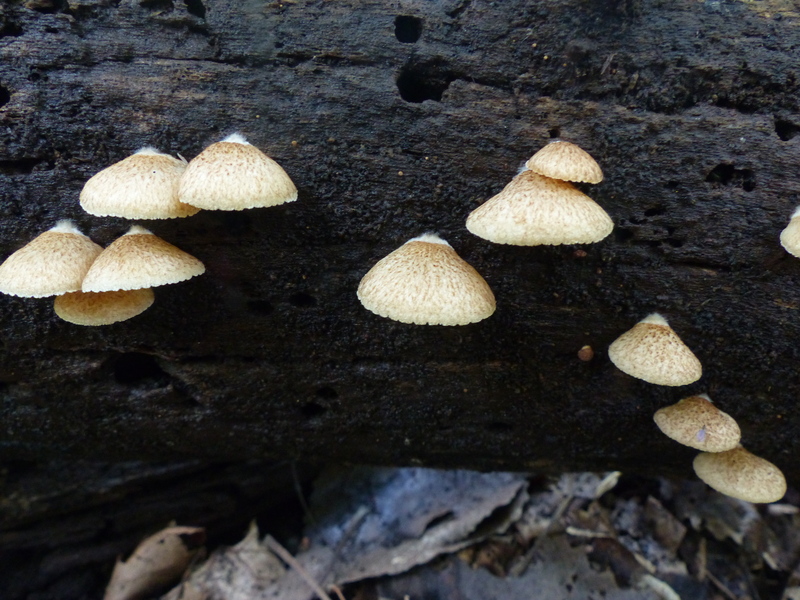 Luminescent Panellus, Battelle Darby Creek Metro Park, (Donna). 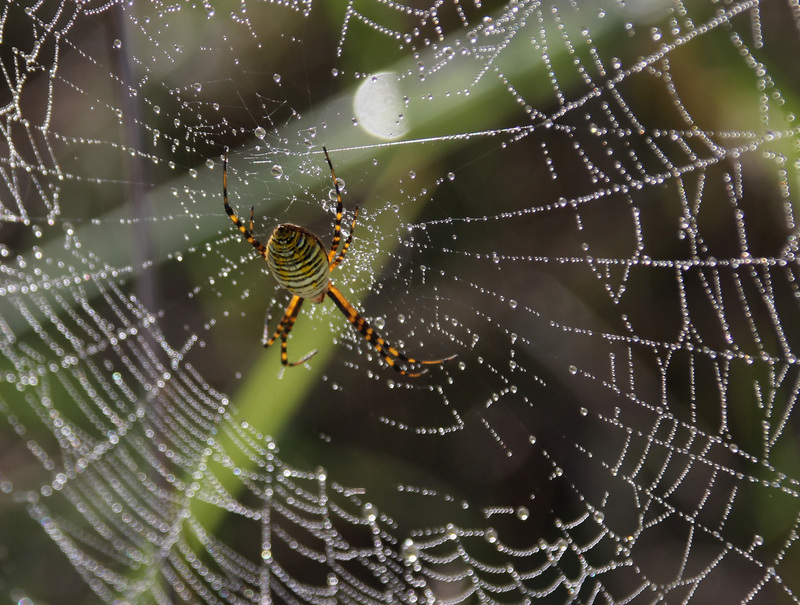 Early morning fog, also the result of the recent rain, greeted us during a walk at Battelle Darby Creek Metro Park creating splendor in a spider’s web. Banded Garden Spider, Battelle Darby Metro Park. 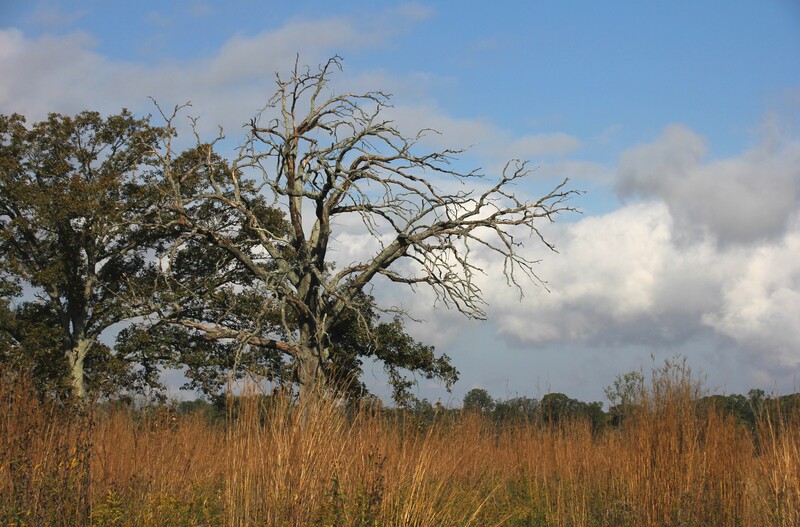 Still standing, Battelle Darby Creek Metro Park. 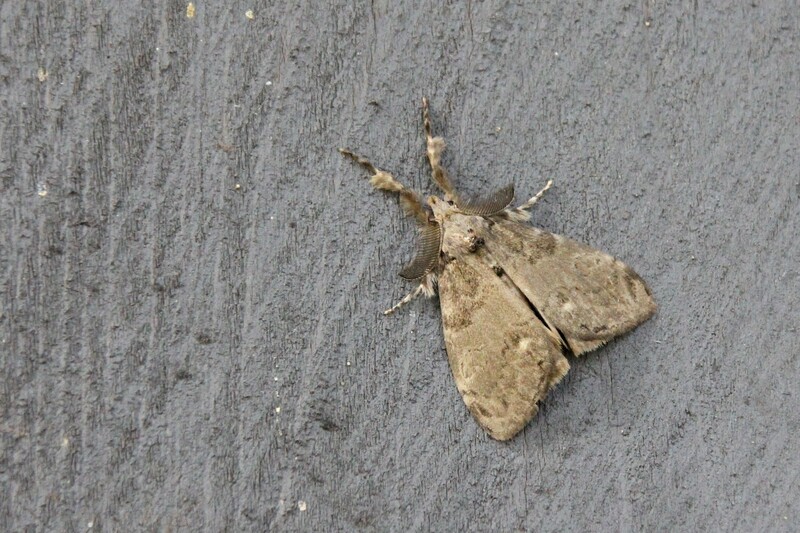 Later, as we continued our walk, we noticed a few moths that apparently had gathered on the light gray wood siding of a park building during the night. Large Maple Span Worm Moth, Battelle Darby Creek Metro Park. Dot-lined White Moth, Battelle Darby Metro Park. 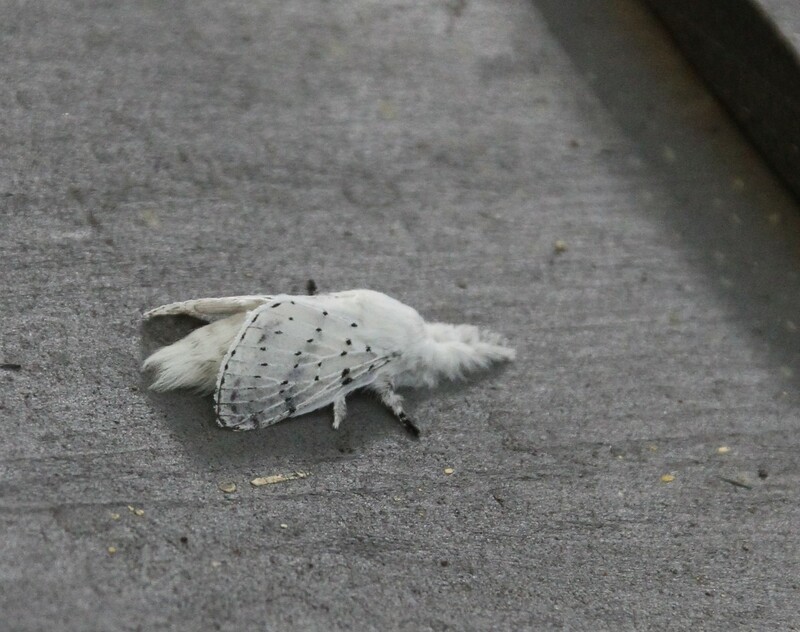 White-marked Tussock Moth, Battelle Darby Creek Metro Park. 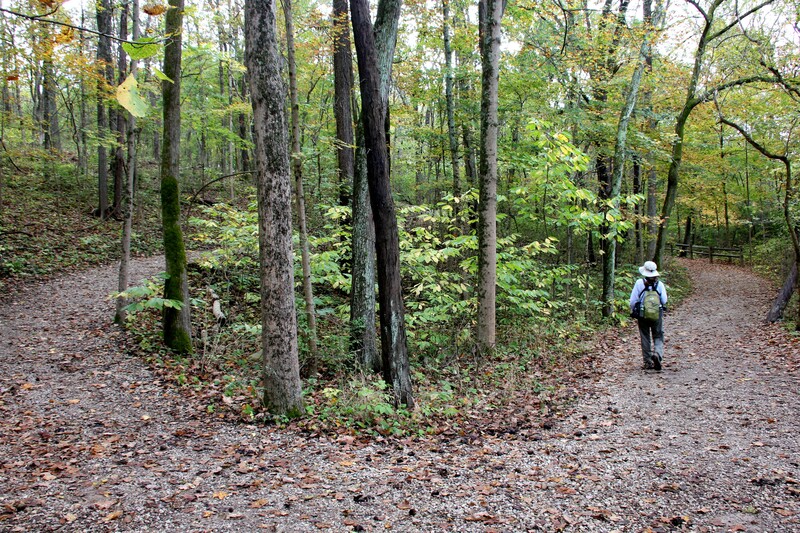 As we continued on a number of Eastern Commas where seen, usually right on the trail. 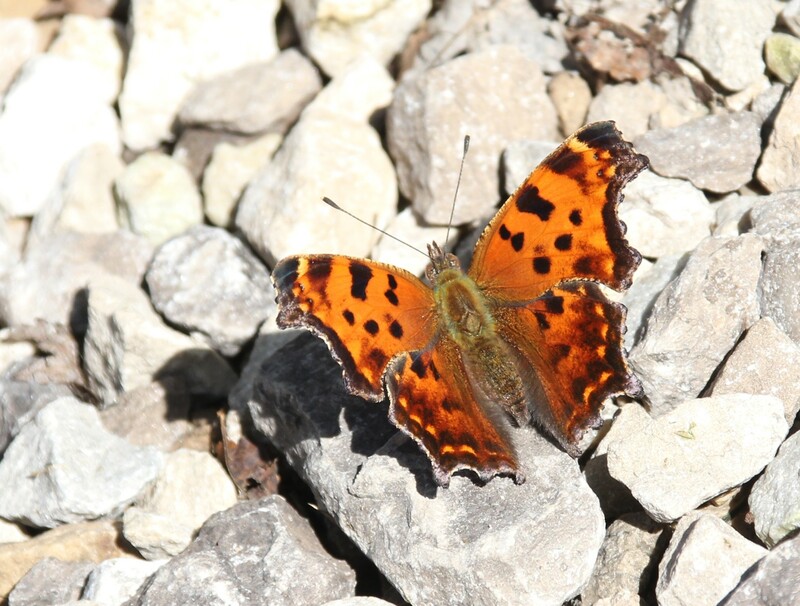 Eastern Comma, Battelle Darby Creek Metro Park. 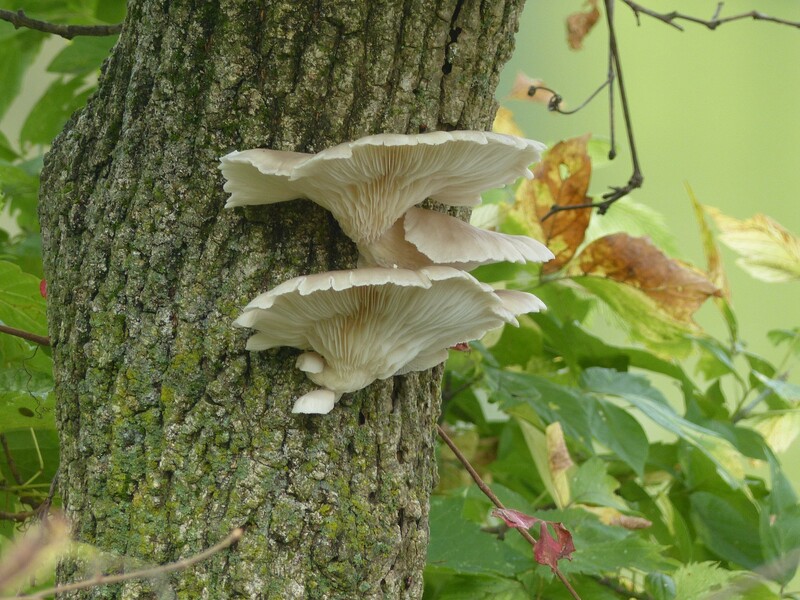 Along the trail, Battelle Darby creek Metro Park. When the rain came, after such a long period of dryness, I stepped out onto our porch, took a deep breath, watched, and listened. The rain fell softly at first, with the sound of a mouse playing as it touched the dry places. 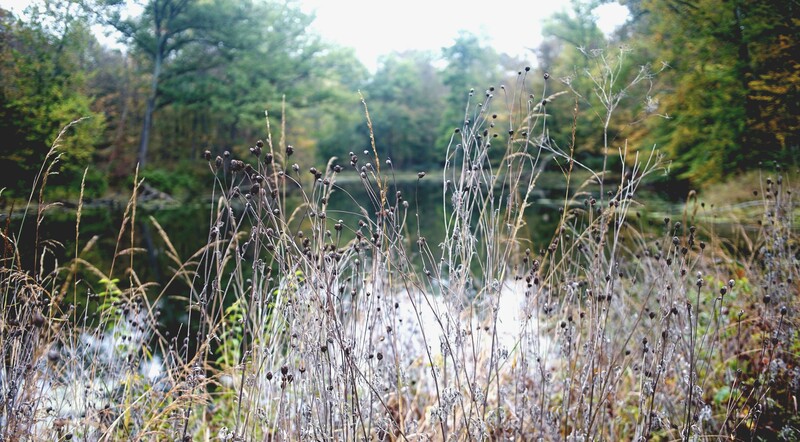 After a while, standing there, the rain leaving fleeting patterns in driveway puddles, it’s fragrance in the wet grass, soil, and filling the air, I was taken to a different place and embraced by a feeling of newness and rebirth. 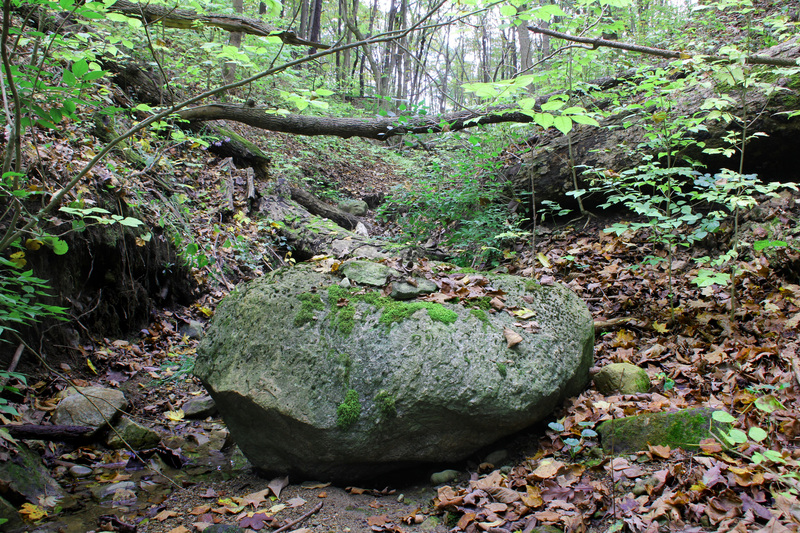 Glacial Erratic, Battelle Darby Creek Metro Park.